The GoToob+ Large 100ml from HumanGear keeps the features people love: it’s still made from soft, rugged silicone that’s easy to squeeze and gets every last drop out, are still air travel approved (TSA) and food-safe (FDA). 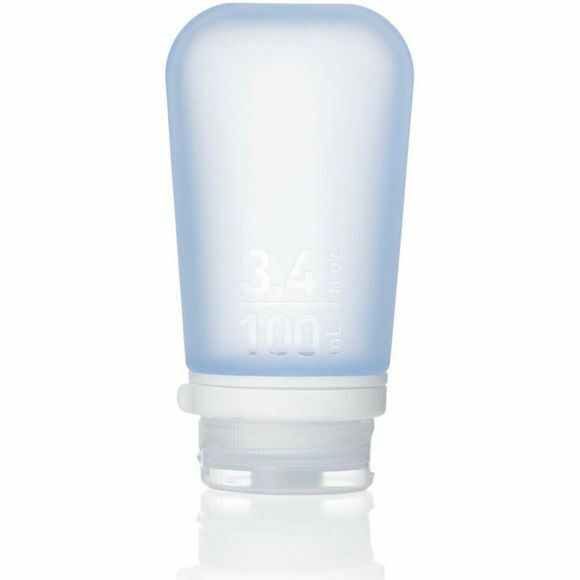 But the GoToob+ also offers a bunch of new features that no other soft travel bottle in the world has. The GoToob+ features a new, larger opening making it both easier to fill and clean. The bases of all the GoToob+ tubes have been contoured so that they can now stand up easily for even easier filling. There are larger size indicators on the silicone (making the size clearer to TSA agents so you can breeze through security). And we haven't even told you about the patent-pending LoopLock yet which makes it almost impossible to accidentally open the cap, further reducing the chance of any leakage.